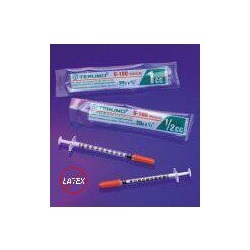 Disposable 1mL insulin syringe with Terumo sterile needle without safety, 29 gauge 1/2 inch. Comes in a box of 100. 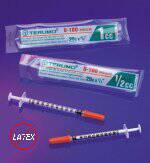 Manufactured by Terumo Medical. Attached stainless steel needle with 0.02 cc graduation increments.